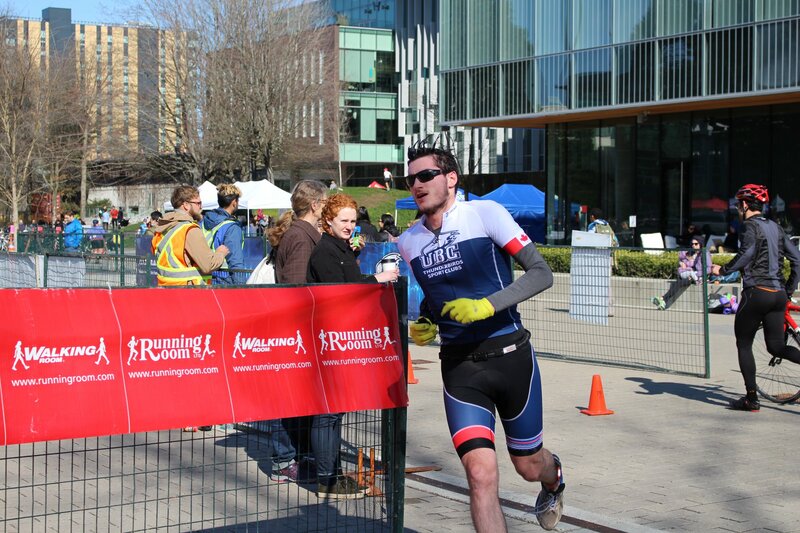 Emblazoned with the UBC blue, white and red triathlon suits and just past the hour mark in to the collegiate division of the UBC Tri Du (triathlon and duathlon) on March 10, seven Thunderbirds crossed the finish line before a single University of Victoria (UVic) athlete did. Thomas Watson, UBC’s first place athlete, clocked in at a time of 1:03:34 — almost six minutes faster than the first place finisher in the general sprint category for the UBC race. For the first ever Northwest Collegiate Triathlon Championships, it was a successful weekend for the UBC Thunderbirds Triathlon Sport Club, not only in terms of their team but also for the sport’s growth in the Pacific Northwest with the first organized intercollegiate race in the club’s — albeit short — history. “Because we got Thunderbird Sports Club status, it’s kind of a part of it that you have a competitive intercollegiate race series. 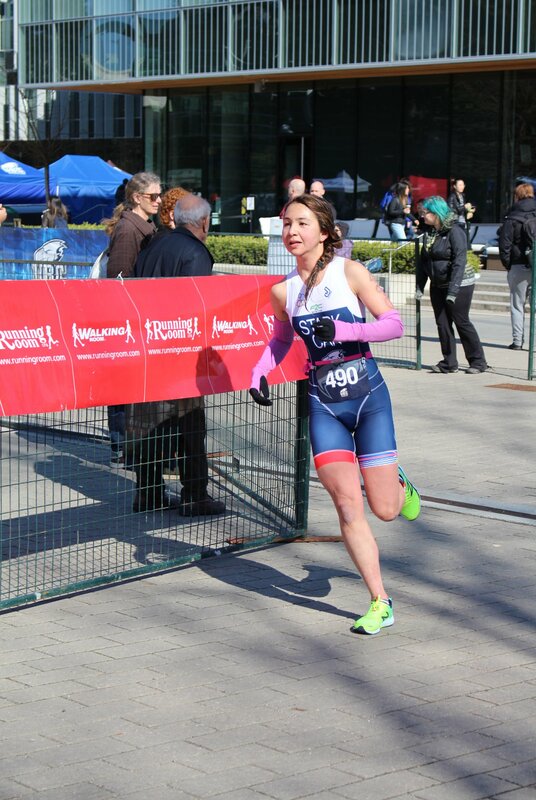 There’s nothing like that for triathlon at the moment … most of us thought it was a good idea and then UBC Rec helped us put it together,” club lead Anna Bennett said of the race. 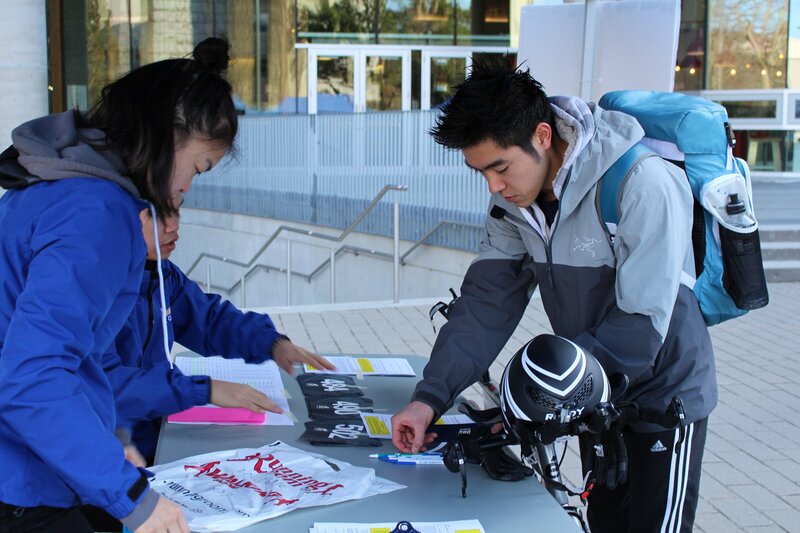 Bennett also spoke to the success of the event in terms of garnering more attention to the sport of triathlon on UBC’s campus and thus more involvement in both the TSC and AMS triathlon teams. “It’s getting people excited about racing and the team spirit. Last year, I think there were eight people from the [triathlon] club that raced,” she said. 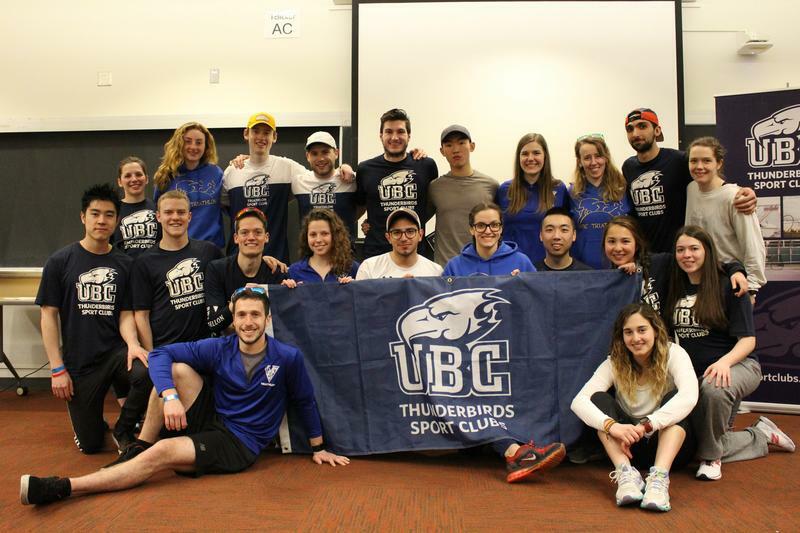 For the events inaugural year, the UVic Vikes, the UBC Thunderbird Triathlon Sport Club and the AMS Triathlon Club were the three competitors. Bennett hopes to up the attendance for future iterations of the race. Even with limits on the schools who attended, the championship had 28 athletes race — and the TSC club topped the placings. Beyond Watson, Kazune Tamura clocked in at an even 1:08 to take home second. He was followed three minutes later by Enzo Zicat Garofalo at 1:11:06 and Ali Al-Ethawy at 1:11:42. First-year Adam Guthrie also placed in the top ranks of UBC’s runners with a time of 1:12:51. On the women’s side, Keila Stark won the women’s event by over a three minute margin at 1:14:14 — a time which would also have placed her first in the general UBC Tri Du sprint race. Bennett followed swiftly behind with a time of 1:23:36. The team also claimed top prize in the team event with the combined lowest score of their top three finishers. For the team’s first race of the season, the results impressed Bennett. On the AMS club side, Connor Bevington led UBC with a time of 1:21:42, placing him ninth in the intercollegiate race overall. For UVic, their fastest time came from Kiah Wheeler at 1:15:21. As explained by TSC team marketing and communications officer Ali Al-Ethawy, the Vikes team is similar to the AMS Triathlon’s structure as their school does not have the TSC support structure in place, which is the case for many universities. With that in mind, the results UVic and the AMS club managed are a stark reminder of the success this sport could see should it continue to grow in the West. “There’s not any kind of [Canadian collegiate] structure, really. There’s a collegiate league in Ontario, but other than that, it just doesn’t happen in Canada, “ Bennett explained. Out east, schools like McGill, Windsor, the University of Toronto and the University of Regina, amongst others, all have some form of a triathlon club — though many face the issue of not having varsity support to see their team travel. The TSC team also faces the issue of having their busy season at the same time as summer break for students. “The really hard thing about the triathlon season is it’s over summer, so everyone trains over winter and then they’re going to go home to Ontario, back to Alberta, and then it’s going to be hard to get the team back together again [in the fall], to get the same kind of feel and spirit at the finish line, and the team vibe,” Bennett said. Al-Ethawy also explained that scheduling for the triathlon team is difficult given the logistics of training during the school year which is the off-season for triathlon as a whole. “On the schedule and all that, it’s hard when you start thinking about this stuff September/October and everyone is just wrapping up their season,” said Al-Ethawy. And triathlon is an expensive sport, adding to the difficulties schools would face in travelling Canada-wide for competition. That said, TSC Triathlon hopes to continue building up a series out in the West. And for now, the TSC season continues on. Several athletes are heading to the half-Ironman in Victoria in June. After that, the team is targeting the triathlon national championships in Kelowna and then the BC sprint distance championships in mid-September. “We’re looking at [the sprint distance championships] being a compulsory race for everyone that’s returning to the team because everyone’s going to be back in BC [and] it’s at Cultus Lake, so it’s not that far,” Bennett said.